After months of sharing expertise, experience and best practices between Barcelona and La Ciotat, both shipyards discovered that they held similar beliefs in the value of teamwork and a shared passion for excellence. Following this discovery and the wish to present transparency and clarity to the market place, it was unanimously decided that Compositeworks should adopt the MB92 brand. However, it was agreed that as both shipyards are located in different, albeit complimentary locations, these distinguishing characteristics should be highlighted in the new visual identity of the shipyard. 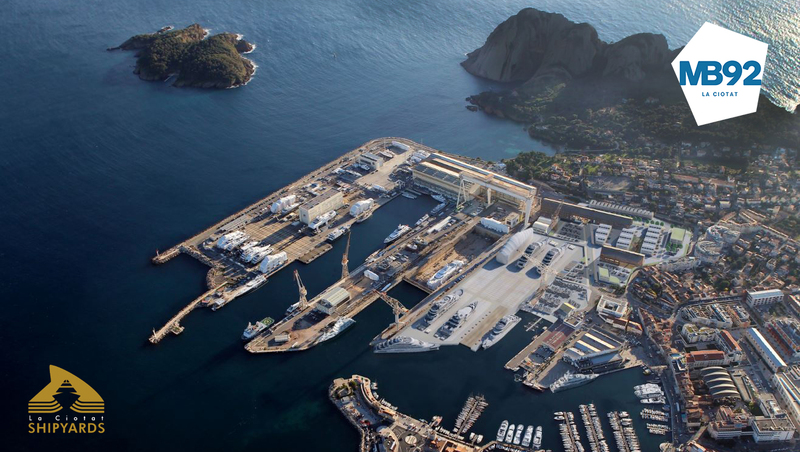 La Ciotat is also the site for a future 4,000-tonne ship lift for which MB92 La Ciotat has submitted a proposal. "This is an extremely exciting time for our company and we look forward to showing our new visual identity in person and alongside our sister-yard MB92 Barcelona at the Monaco Yacht Show. I want to take this opportunity to thank all existing clients for their longstanding business and I am eager to demonstrate to them the benefits of working with the two largest superyacht refit facilities in the Mediterranean. We have discovered over the course of the last year that each of us has many strengths and we have worked hard to combine them. We are confident that our clients will instantly feel the positive effects of our new group status whether that be a larger pool of expertise or improved health and safety. Our goal together is simply excellence and the highest client satisfaction." 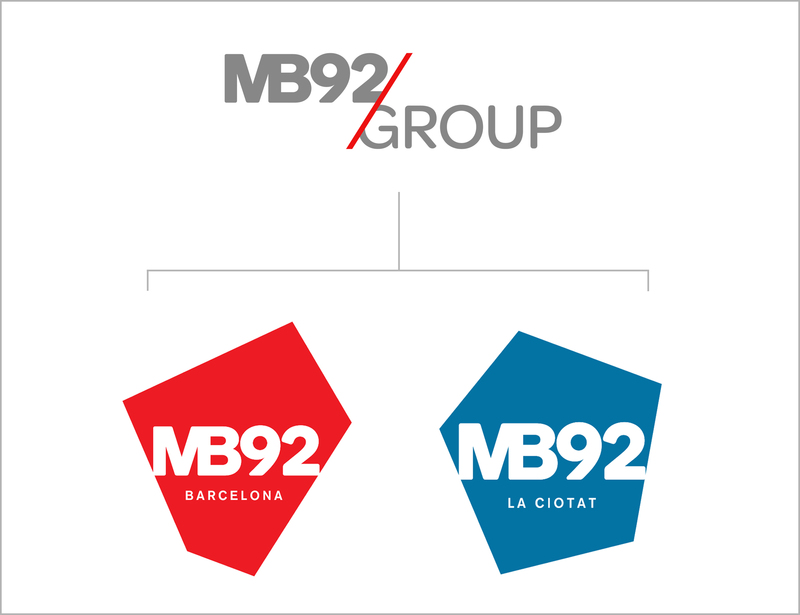 For Pepe García-Aubert, president of the MB92 Group, "We are very proud to be expanding our brand which enables us to be closer to our clients and offer them better services. We now have two extraordinary facilities at our disposal and, above all, a team of 250 staff who are professional, experienced and totally committed to providing our clients with an excellent refit experience. Dedicated to the highest quality service, refit, and repair of superyachts, we are now an international shipyard network with local passion, expertise and knowledge, equipped to manage projects of every scale. What drives us? Excellence for our clients, suppliers, staff and community and the firm intention of remaining at the forefront of our industry through further investment in the services and equipment provided." A Dogus Group representative, Mr. Aykut Ozgulsun also expressed his thoughts and commented that "We are very proud to be making this announcement. A lot of work has gone on over the last year to make this happen and we strongly believe that our clients and partners in the superyacht refit and repair industry share our enthusiasm for the opportunities this latest development will bring".